Why not ‘wobble before you gobble’ at the annual 5th Encinitas Turkey Trot? Turkey, cornbread stuffing, yams, cranberry sauce, green beans and pumpkin pie. Yes, Thanksgiving is almost here along with racking up calories and belt loosening. All of which is tradition, but before you get ready to feast on the feast, how about getting in some exercise on Nov. 22 at the 5th annual Encinitas Turkey Trot 5k/10k/BEAM Kids K & Fun Run and food drive. Besides the long-anticipated family meal, this is the event to kickoff Thanksgiving Day fun with friends and family. The first race starts at 7:30 a.m. and finishes — just in time for you to dip your turkey in a puddle of gravy — under the World Famous “ENCINITAS” sign on Coast Highway 101. This is also the first year the Encinitas 101 Mainstreet Association is partnering with the Turkey Trot and over the next 5 years, the event has agreed to give $25,000 to the non-profit group. It will use the funds for various arts projects already in the works. 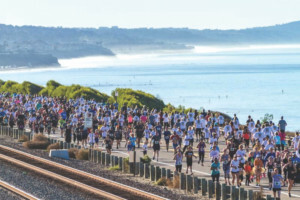 “The Encinitas Turkey Trot continues to grow by 25- 20 percent per year and it is a family tradition that brings people – young, old, and in between – to participate in the race and all its additional festiveness,” said founder Steve Lebherz, a long-time resident of Encinitas. Lebherz said the event started because he was looking for a way to help needy families throughout the North County of San Diego. The race itself has come a long way since its early days, and continues to grow, Lebherz said. He said the event began as a food drive for the needy, but now, the “Thanksgiving Meals in a Basket” program helps 100 active duty fami- lies with a complete dinner. The Encinitas Turkey Trot also works with the Encinitas Post 416 of the American Legion, the Women’s Auxiliary that gives to the various bases and military organizations. This year, they will also have gift cards sent to veterans in various stages of need, Lebherz said. Of course, the best part about running in the race? “Early morning offers a beautiful color to the Pacific Ocean, the waves have a special look during this time of the year,” he said. 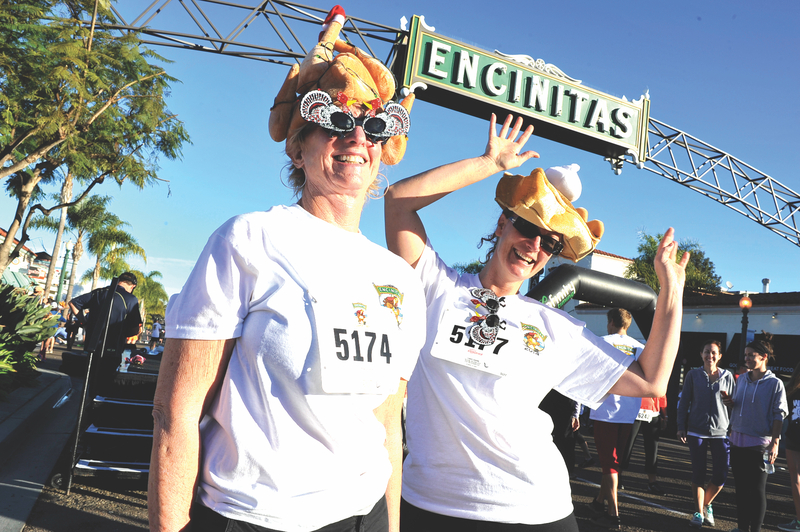 Whether you run, walk, or crawl, everyone is welcome to participate in the Encinitas Turkey Trot. Speaking of friends and family getting together for the annual Encinitas Turkey Trot, other participants agree with Kydd and Lebherz that it is the place to be. “Every Thanksgiving it’s like clockwork, the grandparents fly in from the cold and snow in Ohio, and the next day our three generations are running, or walking in 72 degrees overlooking the Pacific. It’s a nice consolation for later when we have over eaten,” said participant Dennis Thompson. Schafer and his entire team at Beam Orthodontics are thrilled to be the title sponsors for their first-ever Turkey Trot Kids K, he said. If you are interested in running, walking, or just being in the Thanksgiving Day Turkey Trot, registration opens at 6:15 a.m. Nov. 22, with the first race at 7:30 a.m. There will be soft cotton T-shirts, medals, and plenty of fun for everyone. 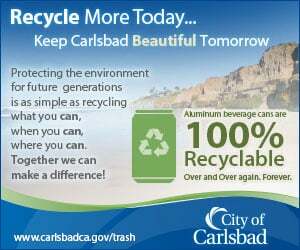 Visit www.encinitasturkeytrot.org for more information.